Can I only collect PUR®-branded packaging? This recycling program is brand-specific, which means you can only recycle packaging of this particular brand. Please refer to the accepted waste poster for the types of waste that are accepted. No, your shipment can be any size. To earn the TerraCycle point donation, however, your shipment must weigh over 5lbs. Remember, the shipment size requirement is applicable only if you would like to earn TerraCycle points. What can I do to get more people to recycle with me? You may also want to use the guides and posters found under the Tools & Resources section of the website. 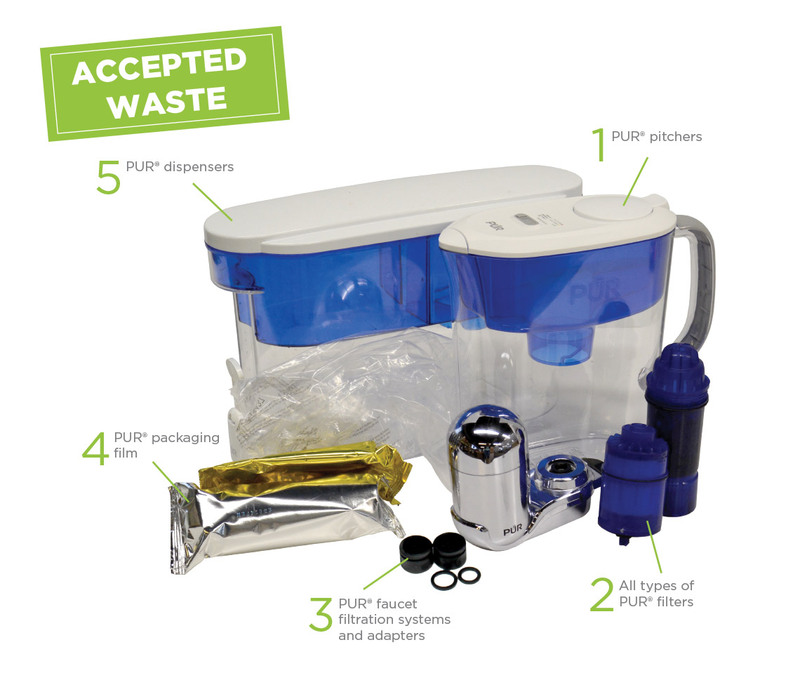 How do other participants collect PUR® waste? Unfortunately, we do not have a Spotlight Location for this Brigade program. For our full list of Spotlight Locations, please click here. After you have joined a TerraCycle Brigade, you may print a free, pre-paid shipping label by going to the navigation bar at the top of the website. Under “Send Your Waste,” select “Get Shipping Label” from the drop-down menu. The list of Brigade programs that you are currently registered for will appear in the drop-down menu. Please note that you will need to be logged in to your TerraCycle account to print shipping labels. To earn TerraCycle points, your shipments must weigh over 5 lbs. If your shipment meets or exceeds the shipment size requirement, each pound of waste your location sends in will earn you 50 TerraCycle points. TerraCycle runs completely free recycling solutions that are made possible by our brand partners. For a complete list of our Brigade programs, click here. To recycle your waste, all you have to do is join at least one Brigade and start collecting the waste stream indicated on the Brigade page. This is when you can get your friends and family involved! The more people collecting with you the more waste you will divert from landfill. Some Brigade programs have shipment size requirements to earn TerraCycle points, but you do not have to meet these requirements if you do not wish to receive TerraCycle points. All shipment sizes may be shipped completely for free and your waste will still be recycled, you simply won’t earn the point donation. Please note: When you sign up for TerraCycle you need to complete one more step before you can start recycling. You have to join at least one of our Brigade programs. When you join a Brigade you can begin recycling that waste stream and earning any applicable rewards. TerraCycle's recycling programs are open to all U.S. States EXCEPT for Alaska and Hawaii. If you live in Alaska or Hawaii, your account will be automatically deactivated and your location will not be able to print or request labels. We apologize for the inconvenience and hope to have recycling programs running in those states and territories in the future. For most of our Brigade programs, you can earn a TerraCycle point donation per unit of waste recycled with TerraCycle. For example, in the Drink Pouch Brigade you can earn approximately two TerraCycle points per drink pouch you recycle with us. Cash donations are mailed directly to the charity in June and December. All cash donations requested between May 1st and October 31st will be disbursed in December. All cash donations requested between November 1st and April 30th will be disbursed in June. Search for your school or charity to see if it already exists in our database. If it doesn’t exist, complete the form with your school or charity’s information. Further, if you do not send in a shipment for six or more consecutive months in each of your Brigade programs, you may be removed from the Brigade in order for us to allow another participant the opportunity to collect and send waste. For more information, please see our Terms and Conditions. You can choose to redeem your points towards one of TerraCycle's charitable gifts or you may search through our database of approved charities. You may also redeem your TerraCycle points for TerraCycle products and collection materials.